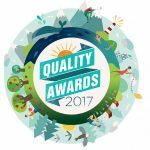 The Quality Awards were created by the Council to celebrate individuals and projects that significantly improved the quality of care in BC. In 2017, a total of four projects and four individuals were recognized for contributions to all areas of care, from preventing illness to providing care at the end of life. The individual-based awards recognize the impact a single engaged person can have in improving the health care system, something we notice every day in the amazing work our partners do. That’s why we were delighted to have Isabel Jordan, one of our remarkable long-time patient partners, chosen by the judges as the winner of the Leadership in Advancing the Patient Voice award, which celebrates patient engagement. Isabel’s journey to advance the patient voice began over 10 years ago, when her son was found to have an undiagnosed rare disease. 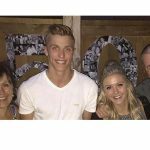 Facing several visits to the hospital and the hardships of fighting an unknown illness, she learned through experience that she needed to advocate for her son to ensure his needs were met. 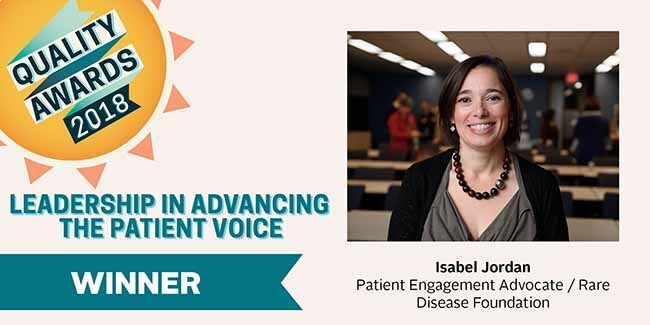 Isabel has since volunteered in several different capacities to advance the patient voice and address challenges in the health care system. We would also like to congratulate Erin Gibson, Fraser Health’s Harm Reduction Coordinator, for being chosen as the runner-up in the category! 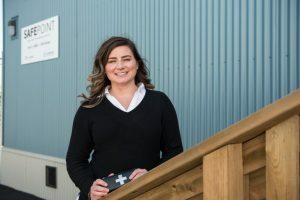 With unrelenting motivation and fueled by kindness and compassion, she has worked to develop and expand a harm reduction program within Fraser Health for the last five years. Listening to individuals of all walks of life and building relationships and extensive networks, Erin has challenged her peers and everyone around her to build a more comprehensive and seamless system of care. 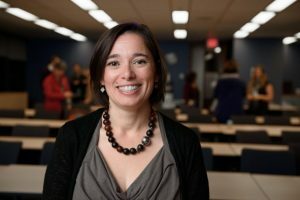 In addition to Isabel’s and Erin’s accomplishments, the Quality Awards also celebrated other individuals that helped improve patient experience and engagement, such as ShelleyLynn Gardner, who tirelessly works to improve patient care at Surrey Memorial Hospital, and Joe Gallagher, whose leadership and personalized approach to cultural safety and humility are transforming care for First Nations people across the province. There were also awards for projects such as the Child & Youth Mental Health and Substance Use Collaborative, the largest change initiative in BC history, which has improved support and care for children, youth and families across the province, and Camp Kelly, which provides unique support for families dealing with the loss of a loved one. All the awards and initiatives are an amazing source of inspiration and motivation, and we would like to congratulate the winners and runner-ups for their awesome work! Check out the full list of winners and runners-up! This entry was posted in Uncategorised and tagged Awards. Bookmark the permalink.